The following is the third installment in our series about document storage options in Parallels Desktop 10. To start from the beginning, click here. Our first post covered how to store files in the Documents folder on your Mac, and our second post covered how to store docs near the applications where they were created. 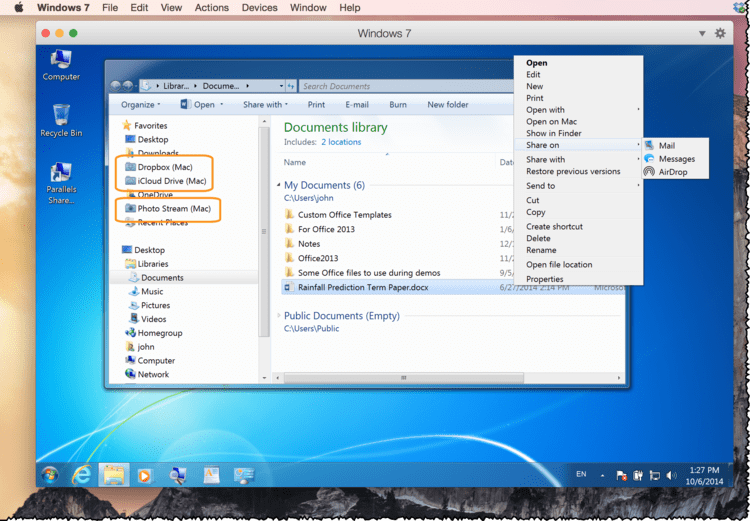 Features added to Parallels Desktop 10 make cloud storage very convenient for Mac and Windows applications. 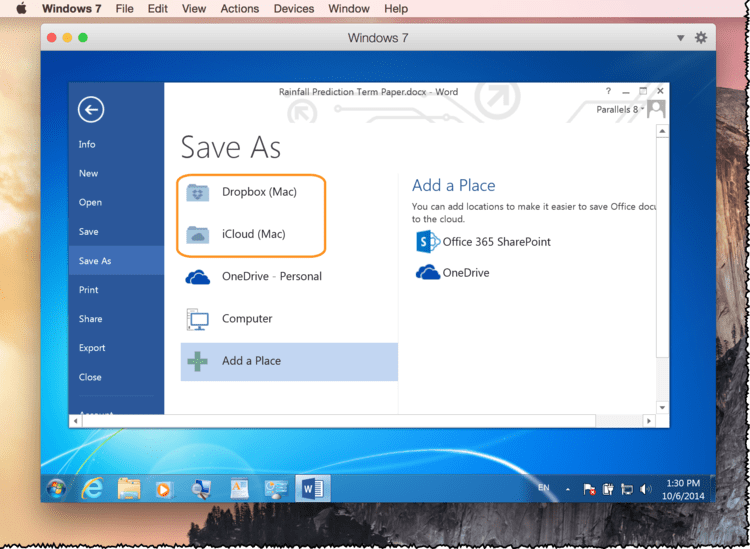 If you use any of the major cloud storage solutions, your clouds will show up in Windows and on the Mac. Figure 2 illustrates how clouds set up on your Mac also show in Windows, and vice versa. In addition, Parallels Desktop 10 enables Mac clouds to show in Office for Windows applications (as shown in Figure 3), which is even more convenient. Convenient in Parallels Desktop 10. If you have multiple computers, all your docs are accessible on all of them. All docs are visible all the time, even if Windows isn’t running. It’s easy to share documents with colleagues. Default setting in Parallels Desktop 10. Some clouds require a paid subscription. An Internet connection is required for the clouds to sync with your machines. The best news is that after you set up your clouds on your Mac or in Windows, the default settings in Parallels Desktop 10 will make everything work automatically. Was kommt nach der Abkündigung von XenApp Fundamentals?